Peanut oil contained fatty acid is different from other oilseeds, containing 6% to 7% C20 fatty acid among saturated fatty acid. Physical oil refining processing line assures high quality production of peanut oil, achieving increased economic efficiency of enterprises. Impurity removal. Impurity of extracted peanut oil must be removed in order to reduce losses and increase yield of peanut oil in peanut oil refining process. Crude oil filter can remove impurities, control impurity of extracted peanut oil under 0.2%, thus improve degumming efficiency. 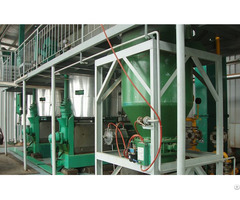 Intermittent process preheats peanut crude oil to 80 ~ 85 ℃. The amount of water in crude oil bases on colloid content, and generally 3-5 times of the gum content, water temperature at 85 ~ 90 ℃ (5 ℃ higher than oil temperature). Finish water adding in 40-60min, along with 60-70r/min stirring, continue stirring 3-5min after adding water, and stand for precipitation 2-4h. 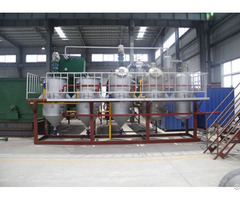 Heat degummed vegetable peanut oil to 25 ~ 135 ℃, dehydrated into a vacuum dryer 20 ~ 30 min. Moisture of dehydrated oil is less than 0.1% (after degumming of crude oil via the oil contained in the 0.3% to 0.5 % of the water will affect the adsorption capacity of bleaching clay section). Degumming of peanut oil can remove grease in oil pigment to improve oil color, adsorption of aflatoxin and trace metals, phospholipids, other gum and other impurities. 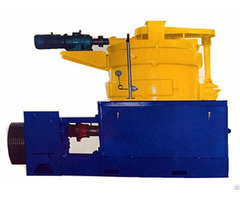 It ensures high quality of peanut oil and improves oil stability. 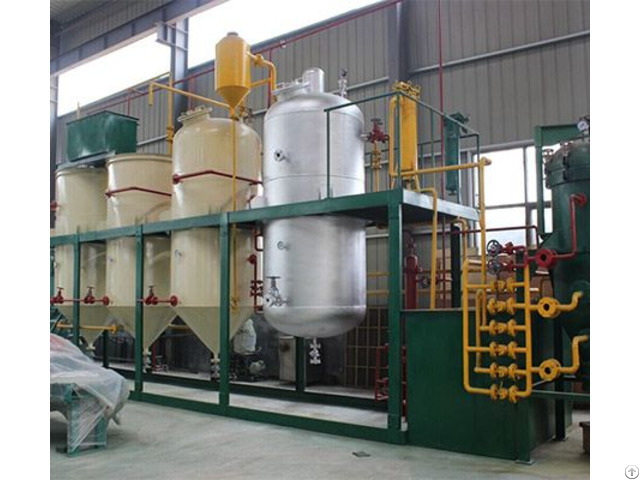 Control oil temperature to 250 ~ 270 ℃ when decolorized peanut oil enters into deodorizer, in direct steam injection, the free fatty acids, ketones, aldehydes and other impurities are removed from the oil, the thermal decolorized action also occurs, and the pigment composition is cleaved distilled from the oil. Deodorized vacuum (absolute pressure) controlled at 266 Pa, the deodorization time is about 2h.